The global Aerospace and Defence industries gather in South Africa every two years for Africa�s premier exhibition and airshow to showcase capability and innovation in Air, Sea and Land technology. Exhibiting at AAD enables you to access the international purchasing and supply chain in Aerospace and Defence. Space is limited so Book Now and become part of unlocking Africa�s Aerospace and Defence potential. 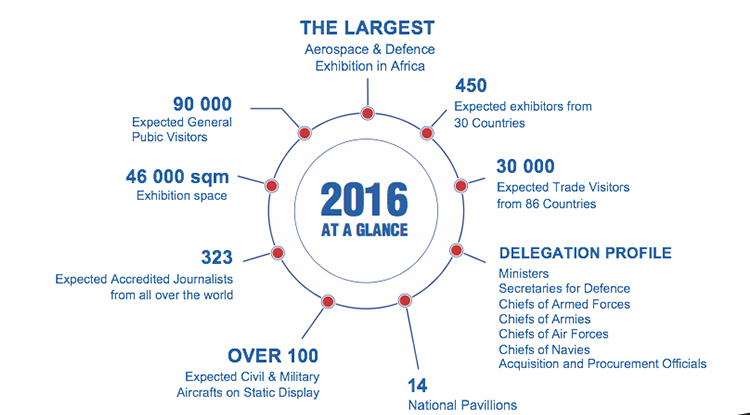 Visit our website www.aadexpo.co.za to secure your space. 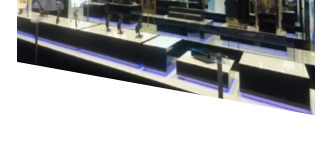 Space rental prices subject to increase by 10% for bookings made after 29 February 2016. AAD announces the appointment of a new Marketing and Communications Manager reinforcing its coordination team to deliver on AAD 2016�s vision to Unlock Africa�s Aerospace and Defence potential. Nakedi Phasha joined the AAD office on 1 February 2016. She brings to the team over 12 years� experience in Marketing, Communication and Public Relations, having worked for SABS, the Department of Defence and more recently the Denel Group as a Senior Communications Officer. �Nakedi�s deep understanding of the needs and expectations of the Aerospace and Defence industry is a welcome and valuable asset to AAD that will steer our Marketing activities towards attaining the goal of growing the show to greater heights and unlocking Africa�s Aerospace and Defence potential ,� said Leona Redelinghuys, Exhibition Director. Wavelengths 10 (Pty) Ltd, publisher of southern Africa�s premier monthly aviation magazine, African Pilot, has once again been awarded the contract to produce the official AAD2016 Exhibition Catalogue. 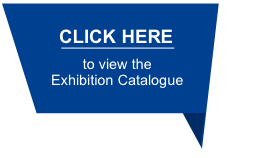 The African Pilot team has in the past produced highly successful AAD Exhibition Catalogues in 2006, 2008, 2010 when the event was staged in Cape Town; as well as the 2012 and 2014 Exhibition Catalogues when AAD returned to Air Force Base Waterkloof. You can look forward to another comprehensive full colour reference work, which will be distributed at the exhibition from 14-18 September 2016. THE PREMIER EXHIBITION OF AIR, SEA AND LAND TECHNOLOGIES ON THE AFRICAN CONTINENT.